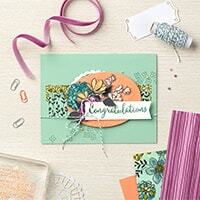 You know me….it is all about FUN, QUICK, & EASY plus Designer Series Paper! I want you to quit hoarding your paper and use it so with that in mind I’m teaching you a Fun Fold card today that uses the Share What You Love Designer Series Paper. The paper featured in today’s project is part of the ‘Share What You Love’ Suite and there are some special bundles available for purchase during the month of May. This designer paper is so gorgeous. But, if you don’t have this paper, or don’t necessarily like it (yikes–that can’t be the case!) make sure to check out today’s video because this fun fold card would work perfect with ANY PAPER!!! I love this easy fold. It’s fun to make a card that is just not a piece of card stock folded in half like we normally do!!! This one has a flap that opens up and then the center panel is the actual card. On this card, I did not stamp anything on the inside, but you certainly can! I will confess….I was running really far behind and wanted to get this card made and video done for you, thus, that is probably the reason there is nothing inside! Can you relate??? Remember, when you order one of the SHARE WHAT YOU LOVE suites from me this month, I have a fabulous gift of over 50 step-by-step tutorials for using the products in the suite. Some are quick and easy, while others are fun folds, techniques and more. It’s an amazing collection. CLICK HERE FOR ALL THE DETAILS!!! Use Any Designer Series Paper! Here are a couple of cards that I previously shared using the Picture Perfect Designer Series Paper. This paper is in the Occasions Catalog and will retire the end of the month. It’s the perfect paper for quick & easy cards!!! If you like it, order it ASAP before it’s gone!!! If you’d like to order any of the bundles that are on sale this month and that I used to make the card in the video, just click on any of the pictures below to go directly to my online store. Remember, the SHARE WHAT YOU LOVE BUNDLES are on special this month and contain lots of freebies. These items will NOT be bundled together in the new catalog. PLUS, if you order any of the bundles from me, using HOST CODE: RXXP9DUM You will get over 50 step-by-step tutorials for using the products in that suite. 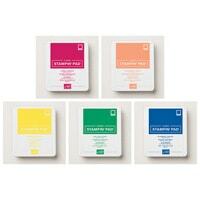 Oh, and you can order the NEW IN COLOR stampin’ pads as well right now!!! The brand new 2018-2019 Annual Stampin’ Up! catalog is coming soon!!! Customers who have placed at least a $50 order through me since June 2017 will automatically receive a catalog. You do not need to request it! 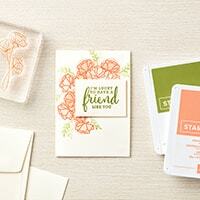 You should receive your free catalog around the middle of May; it’s my gift to you for being a valued VIP STAMPER! Hello! Just found your blog, and I love your stamparatus videos – they’ve given me some great inspiration. Will you be making the current tutorial bundle available without purchasing a catalog bundle? I already have the ones I want but I’d like to purchase the tutorials bundle if possible. They are new doilies coming in the new catalog–they are called PEARLIZED DOILIES and are just $4.50 for 24 of them! It’s the new pearlized doilies coming in the new catalog on June 1st. Sorry, I should have said that in the video.